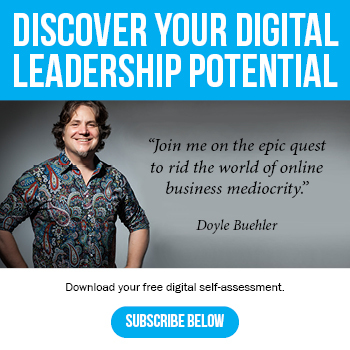 Home » The 7 Disciplines of Digital Leadership: What do you really need to know to become successful online? After spending over 14 years in the digital era, it soon became clear what some businesses were doing online to be successful, while others were simply getting by, or worse yet – failing. 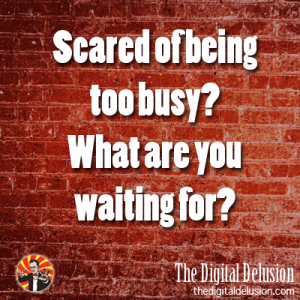 Why does success online sometimes seem so far away? Why are some companies reaching significant levels of success, interaction, engagement and relevance that leave others spinning their wheels, and getting no traction whatsoever? Why are some businesses closing their doors? Principally, it all comes down to digital leadership. What each one of us does, to guide and develop our online ecosystem, by taking control of it, not by simply following what others are doing. 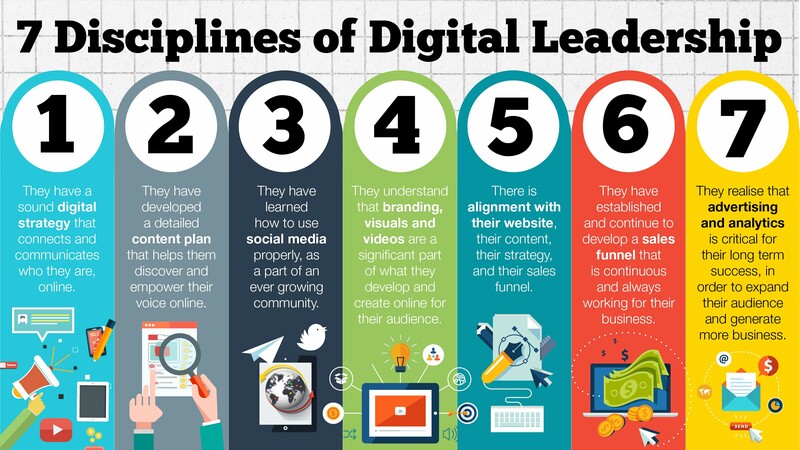 Digital Leadership is fundamentally about developing remarkable online strategies combined with creative thinking in the online media worlds. It really is at the intersection of entrepreneurship and innovation. This is the point where businesses will show growth, when they take up the cause to become a leader, not just a follower. This is not about becoming an “online guru”, either. Super-hero of the JV or affiliate world. This is about being a taste of reality in the overblown hype of online. It is about extending yourself into the position of leadership, to take responsibility and accountability for what happens to you and your own business online. 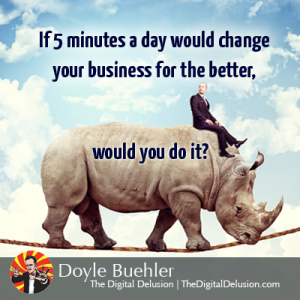 Imagine what it would be like to be the leader in your industry, online. To have a remarkable business, that is engaging with your audience, has a fantastic customer community and significant online relevance. What if you could have a continuous source of sales leads, and an ongoing commerce capability that was working extremely well? This really is what ever business aspires to, right? The status quo isn’t working however – businesses are struggling to get sales, leads, and engagement. 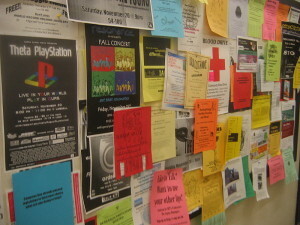 Most websites are simple brochures on a messy brochure rack or an old-fashioned bulletin board. It isn’t a pretty picture at all. Many businesses can not believe nor understand why things are not working properly, or why they are not working as well as they were told by the gurus and experts. Many businesses do not actually realise what pieces are missing, and how critical it is to understand what they needed to do, how, and when. 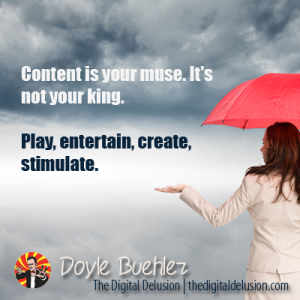 When to use Facebook, when not to; why to use SEO, what about content? Entrepreneurs are really feeling STUCK and overwhelmed. 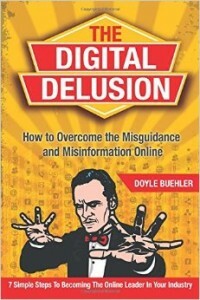 And, the really ugly part – we are being mislead and misinformed about a lot of different things online. There is a tremendous amount of confusion here. Businesses are suffering and in a lot of cases, closing their doors online because of the scale of these problems. It is all very painful. Sound familiar? Since working in the industry for over a decade, I found the base of these problems to be specific patterns of behaviours and knowledge that were really incongruent with what was actually going on. 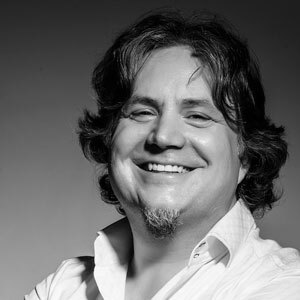 So, I’ve been working in and studying the online industry for quite some time – I’ve been in the online world since 2004 with a couple of ecommerce start-ups. I’ve noticed and experienced some things that work well, while others that do not. 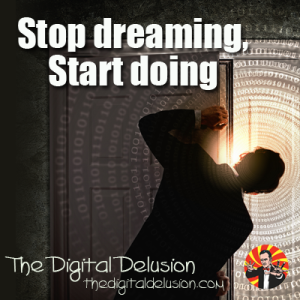 I then coined the term the digital delusions, to highlight these challenges, attitudes, behaviours, pains and problems that we are all encountering as we try to grow our business online. 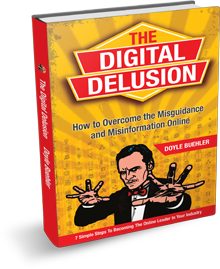 In developing my own ecommerce businesses, as well as studying companies for my Book, The Digital Delusion: How To Overcome The Misguidance & Misinformation Online, it really became apparent what some businesses were doing correctly, and what other businesses were still struggling with. It didn’t always come down to being smarter, either. It really came down to some key things that they were able to convey a little bit differently. Whether they knew it or not, they were able to define a consistent structure that they could then use in all things digital. This is where they were winning, as they were able to piece together all of the various elements of online, into a cohesive and congruent structure. 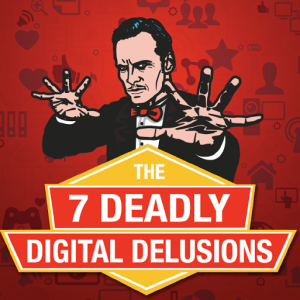 The 7 Digital Disciplines came down to core areas of digital marketing, social media, strategy, SEO, websites and everything else in-between. No matter how you looked at them, they were always clear and consistent. 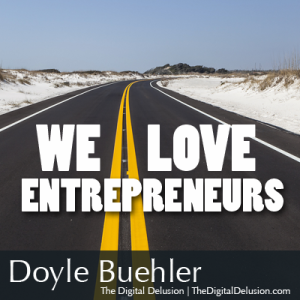 Like you I’m sure, I found that there was a significant amount of confusion and clutter online for entrepreneurs. And yes, a lot of misinformation and misguidance from self-professed gurus and experts. 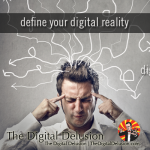 Those businesses that were able to see through all of this clutter and confusion were really in essence getting significant clarity in their everyday activities, and in their online business in general. They had found, what I call, the digital leadership “sweet spot” – the place or position where multiple things come together simultaneously, and work in unison for the benefit of the business. Call it what you like, I tend to call it synchronicity. Their business just works well. 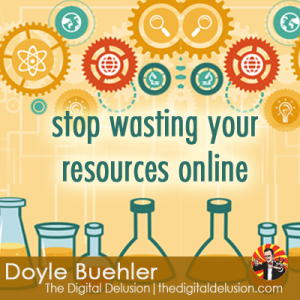 Now, The industry has really not been very helpful to businesses wanting to truly succeed online, as you always seemed to have to jump through another hoop, learn another buzzword, or hire another guru to get the job done. And, as we’ve seen, often times this process does not actually work. What I also found was that the businesses that were working well online had a system. A process. A framework. An infrastructure that was at the backbone of what they did. Whether they realised it or not, it was a series of steps that they were implementing and utilising, that were actually helping them with their online success. They were laying the foundation for some specific actions that were working quite well. Well, as mentioned, I discovered that there were 7 key indicators that some businesses were doing, and doing well online. So, I sat down with businesses and entrepreneurs and actually began to detail them out, and started to build a platform that actually qualified and quantified what was working well for entrepreneurs online. These then became the Digital Disciplines, as they have come to be known as, that I have found work well for businesses exploring and exploding their online space. These Disciplines will help you not only fully organise the online side of your business, but will also give you a new set of tools to better manage and maintain the whole online process, giving you the freedom to begin to work on your business, not in your business. 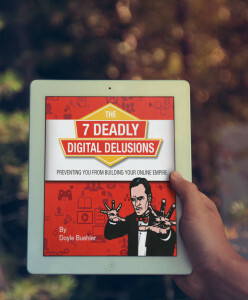 So, these are the 7 Disciplines of Digital Leadership that successful businesses have discovered that help them overcome the clutter and confusion of being online. 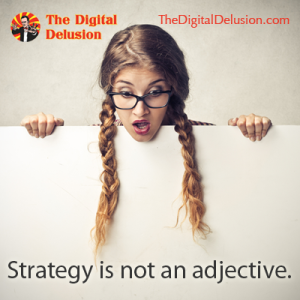 There is alignment with their website, their content, their strategy, and their sales funnel. What does it all mean? Well, start by putting each of these pieces together, and build upon them. It takes time, but it also takes an understanding of the factors that affect your online business, as well as the “process”. Everything of merit has a process that helps create the building blocks to growth and development. 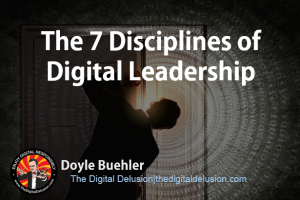 The 7 Disciplines of Digital Leadership are those building blocks that can in fact help you simplify what you need to be focusing on, online, without the headaches of everything else around you. It creates order from the chaos of the internet. There has never been a better time to take control of your online business and make it as successful as you want. 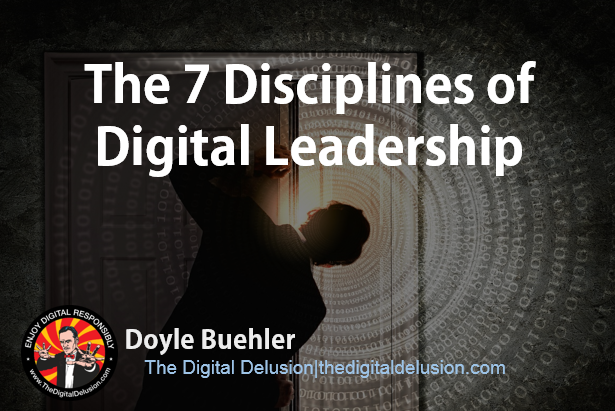 The 7 Disciplines of Digital Leadership create that architecture to build that baseline that moves your business forward.